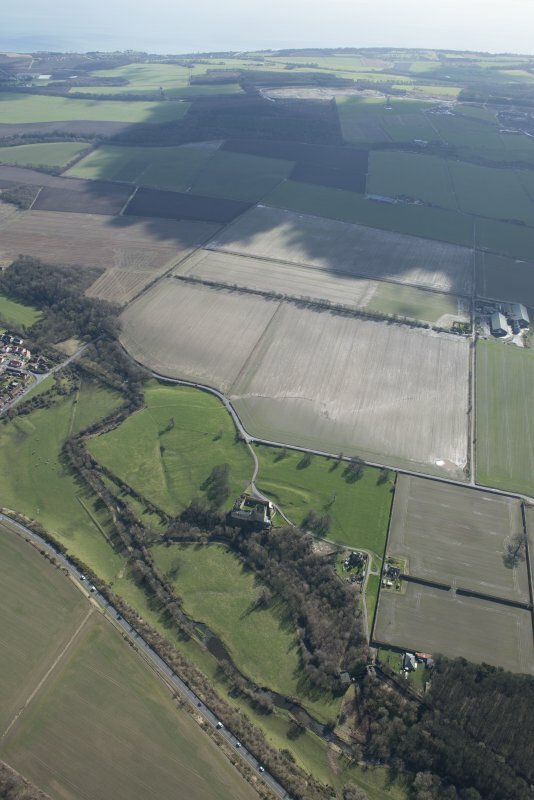 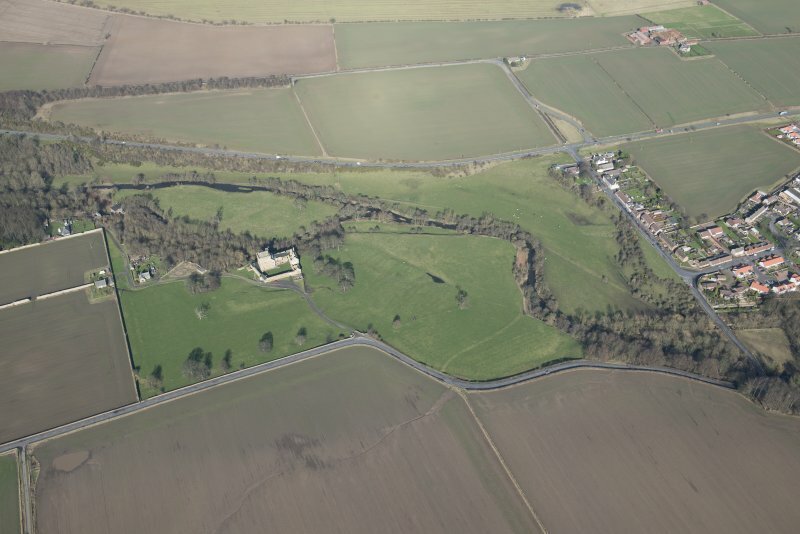 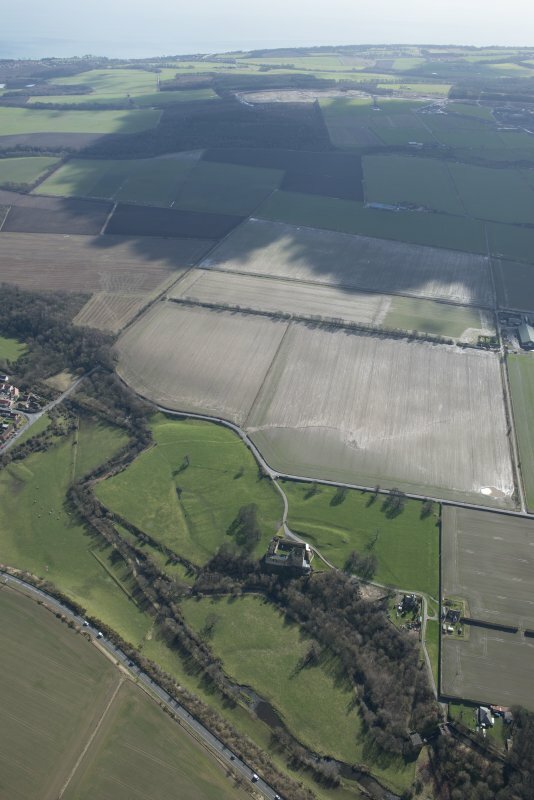 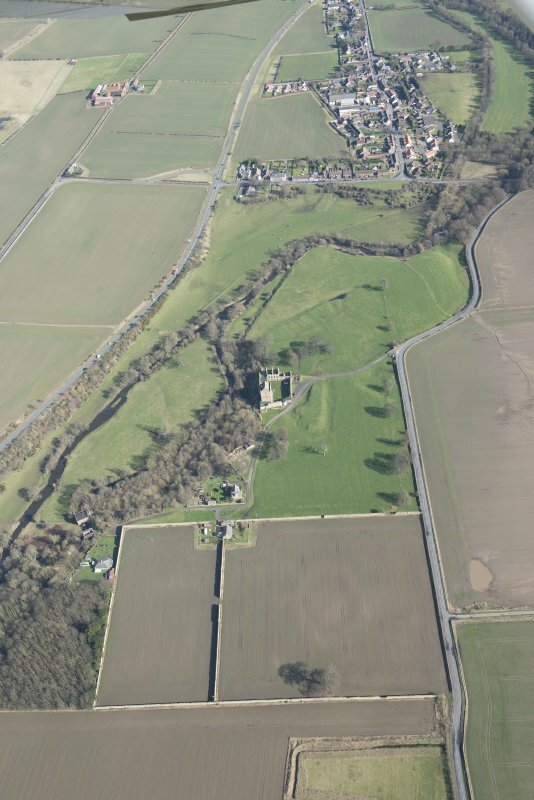 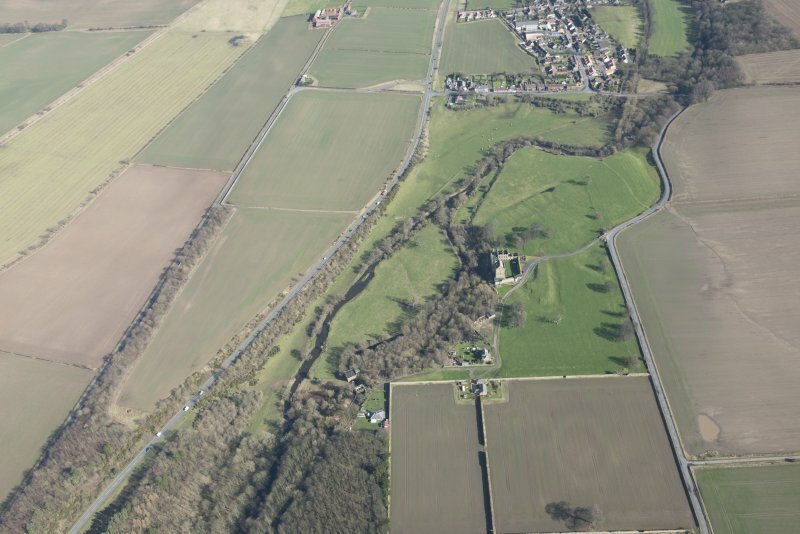 Oblique aerial view of Balgonie Castle, looking ESE. 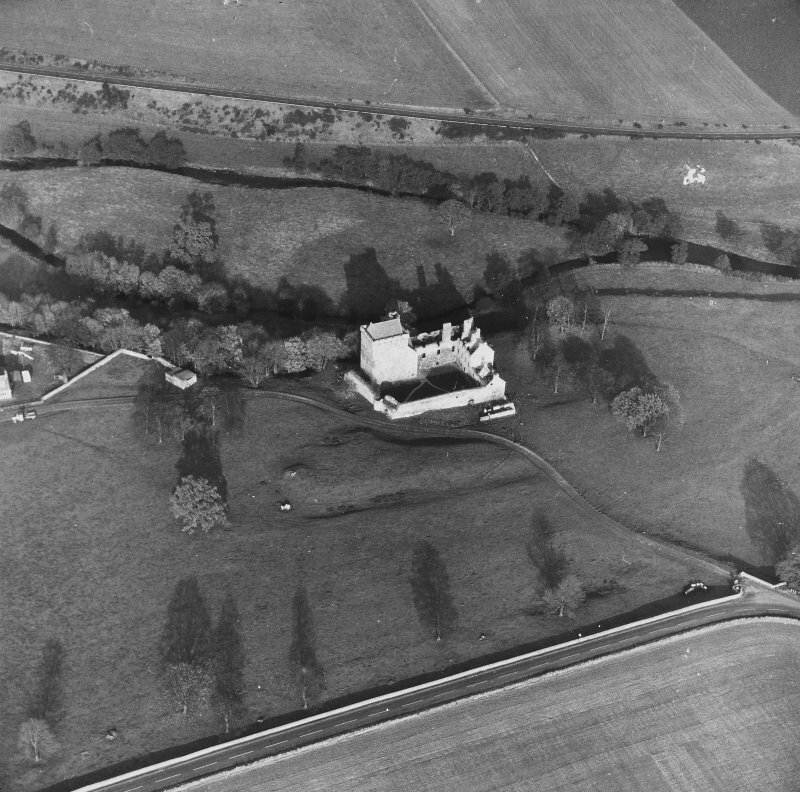 General oblique aerial view of Balgonie Castle, looking WSW. 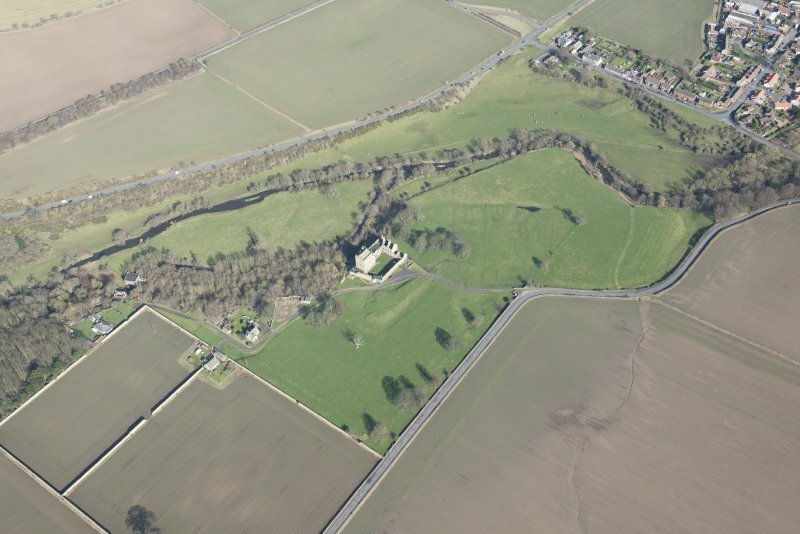 Balgonie Castle from the south west. 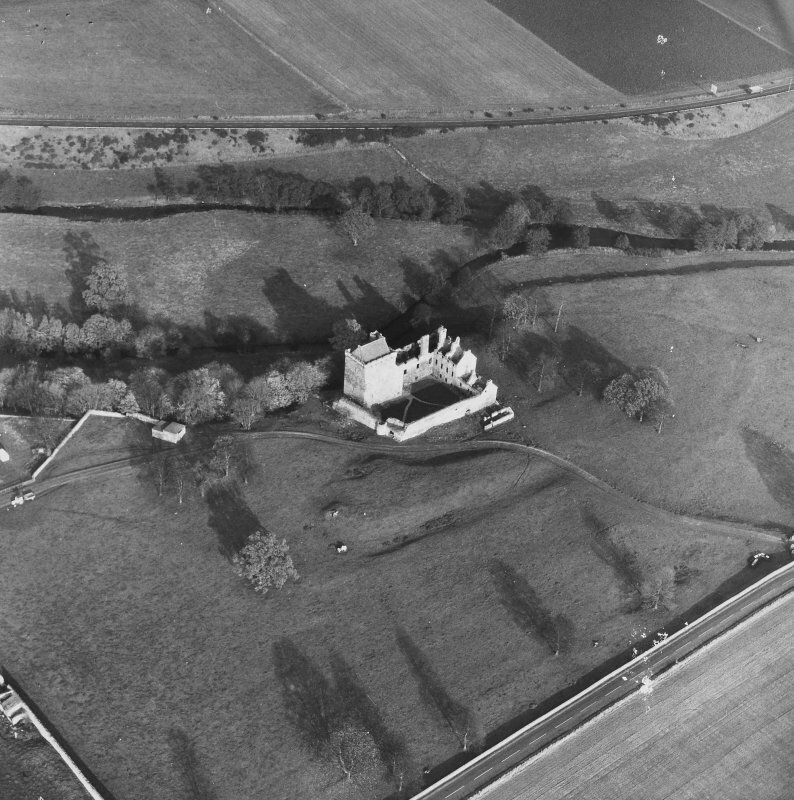 Oblique aerial view of Balgonie Castle, looking N.
Oblique aerial view of Balgonie Castle, looking NE. 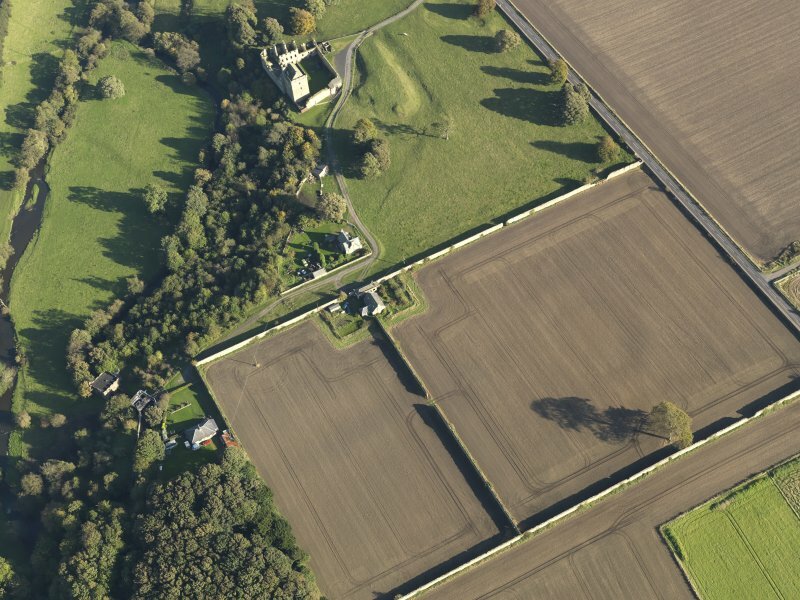 Oblique aerial view centred on the walled garden with the castle adjacent, taken from the W.
Oblique aerial view of Balgonie Castle, looking SE. 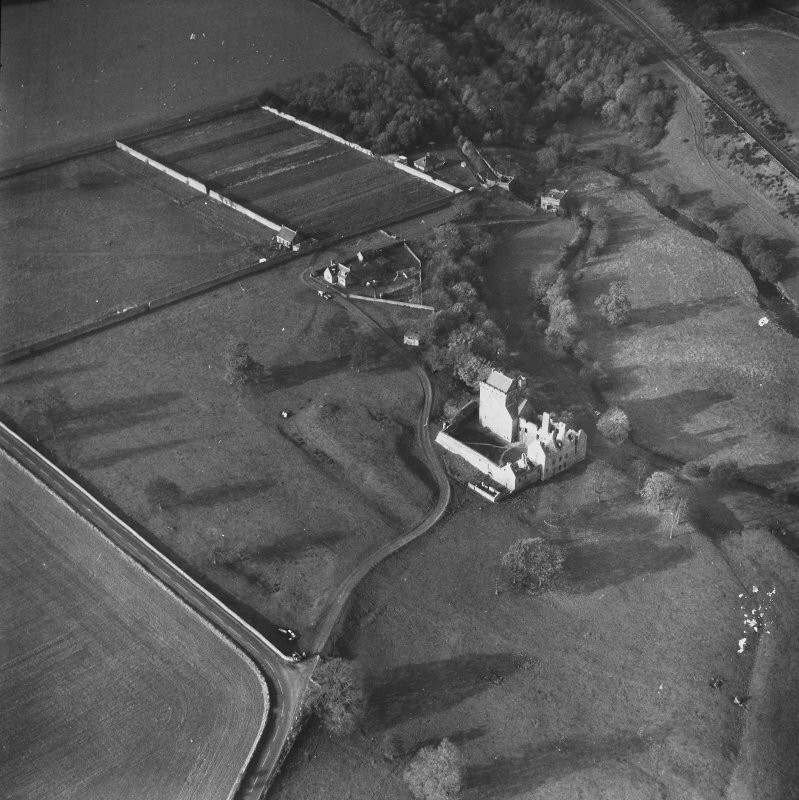 General oblique aerial view of Balgonie Castle, looking SSE. 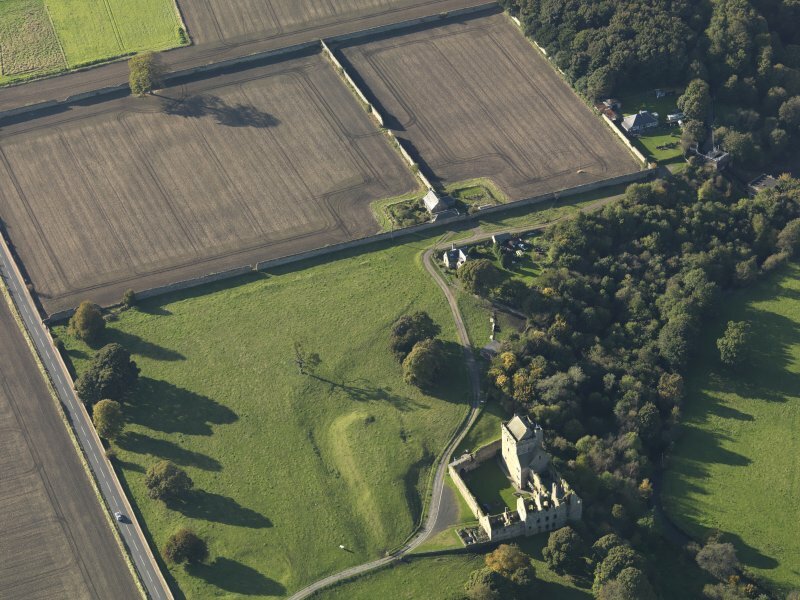 Oblique aerial view centred on the walled garden with the castle adjacent, taken from the WNW. 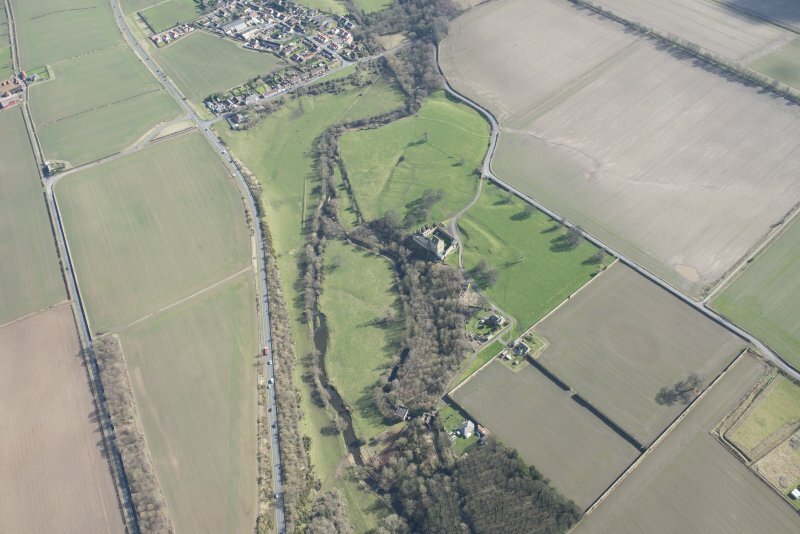 Oblique aerial view of Balgonie Castle, looking S.
General oblique aerial view of Balgonie Castle, looking W.
Oblique aerial view centred on the castle, taken from the ESE. 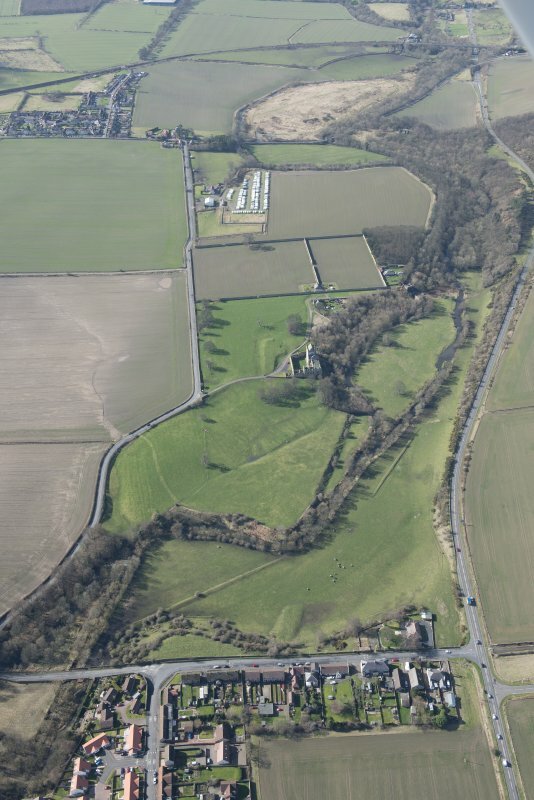 Aerial view of castle. 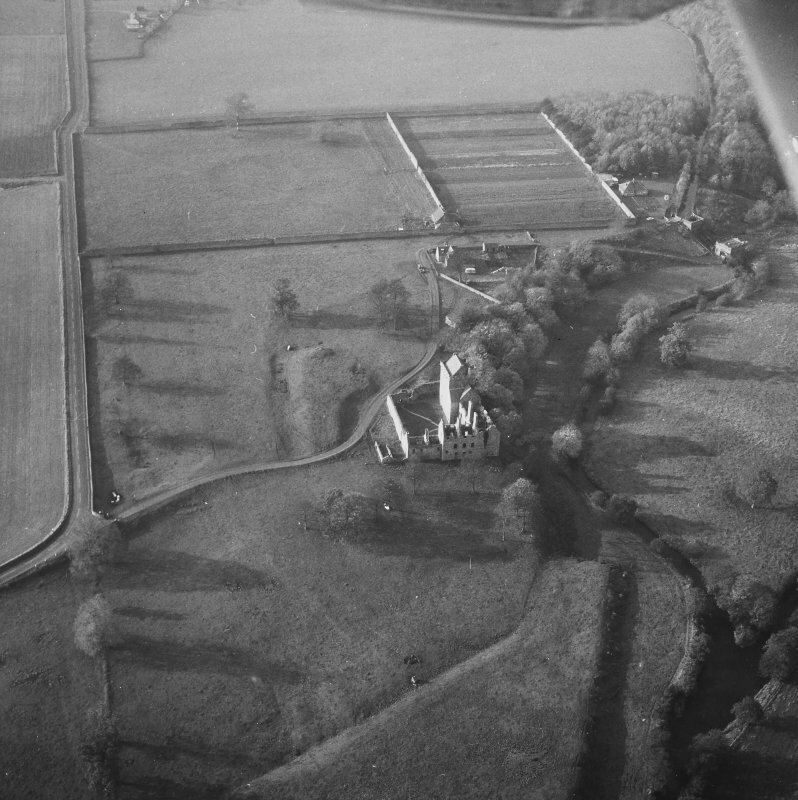 Includes Turbine House. 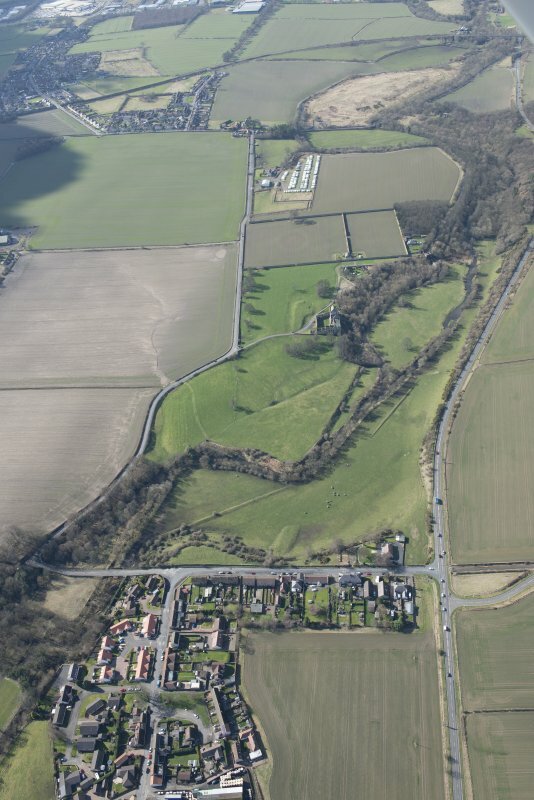 Balgonie Castle is the ruin of an early 15th century tower, set at the NW angle of a later enclosure, the north east sides of which consist of ranges of outbuildings and the entrance to which is covered by a banquette and ditch, probably not earlier than the 17th century. 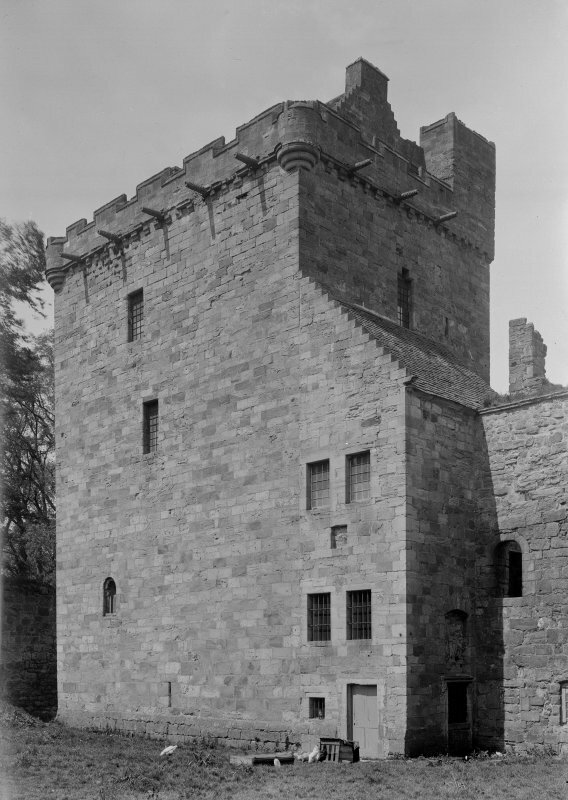 The tower is unusually well masoned; is oblong on plan and measures 15 1/2' from ground to parapet. 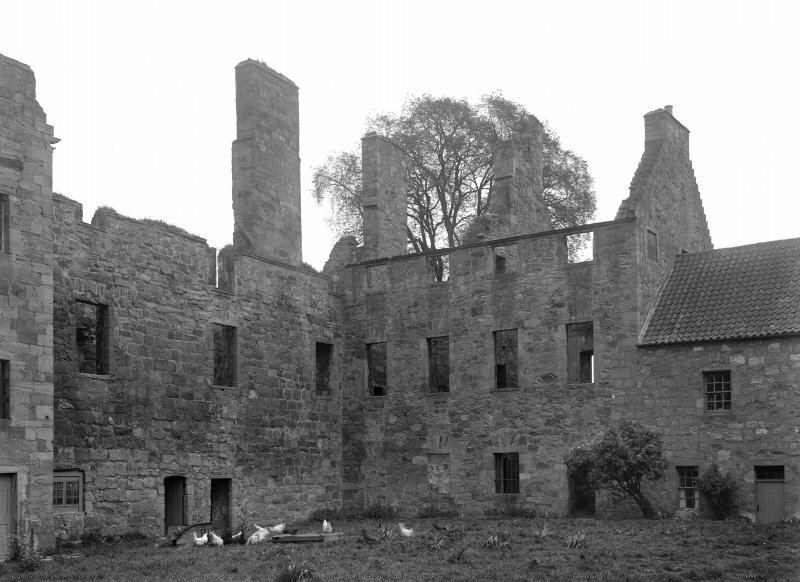 There are four storeys beneath the wall-head. 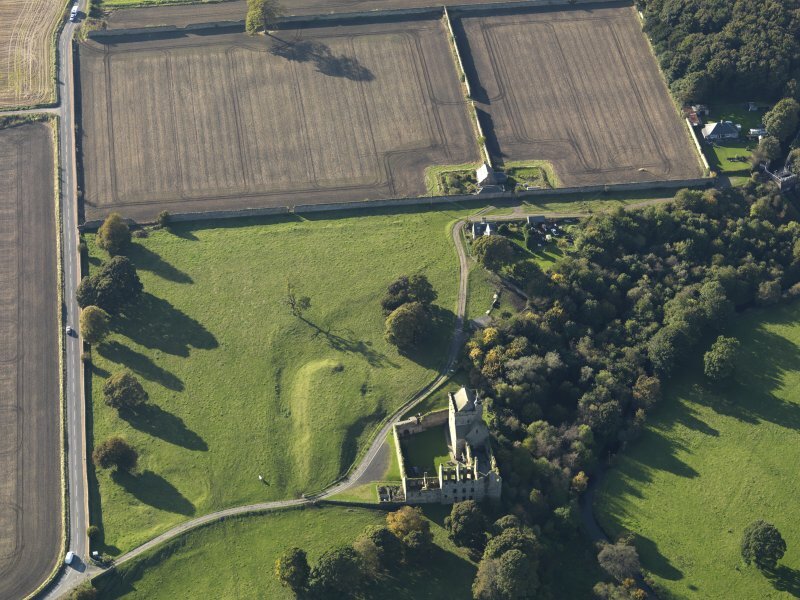 The walls are of ashlar. 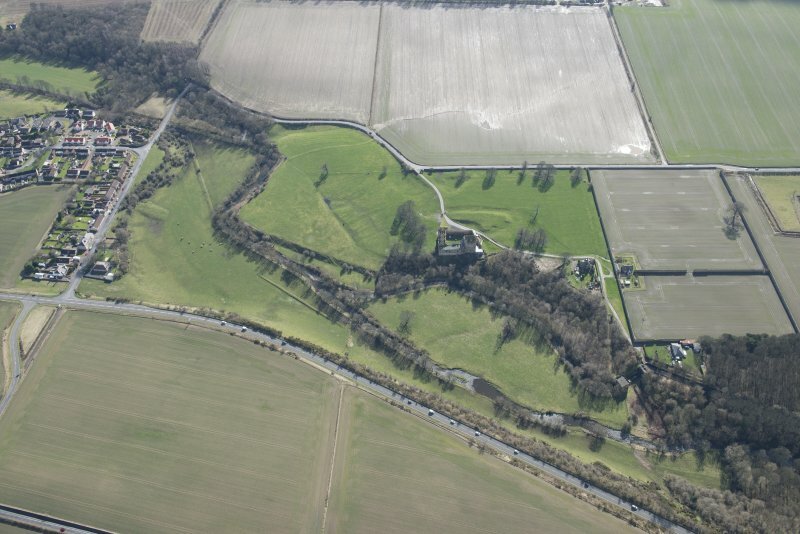 The walls, buildings and earthworks still remain as described above. 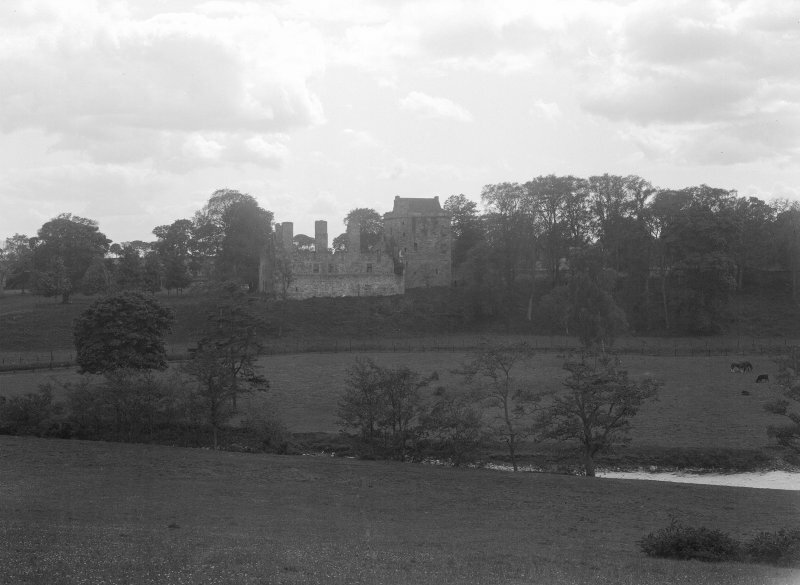 The castle is unoccupied. 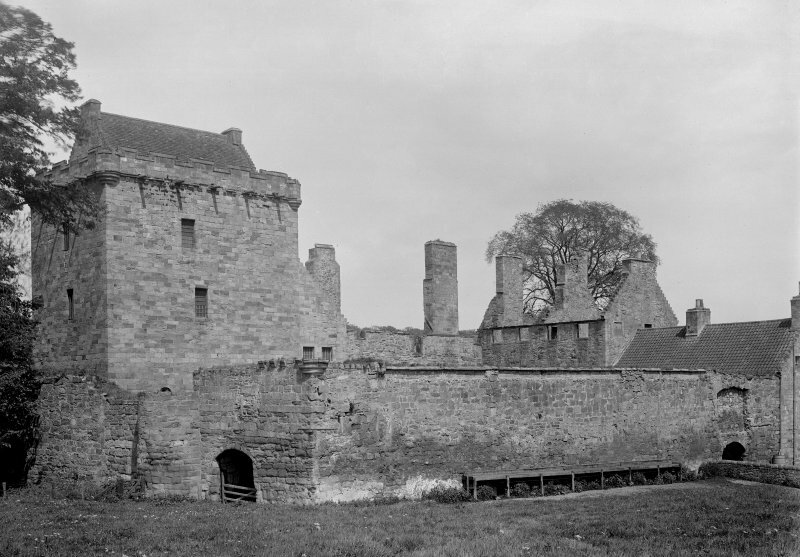 Balgonie Castle: the tower walls and roof are intact but the roof is now in poor condition. 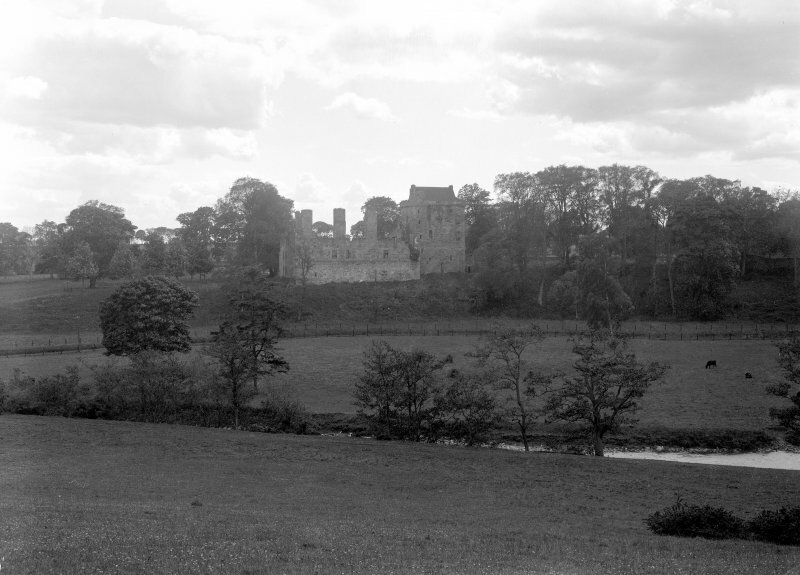 The building in the SE corner is complete, with masonry recently repointed. 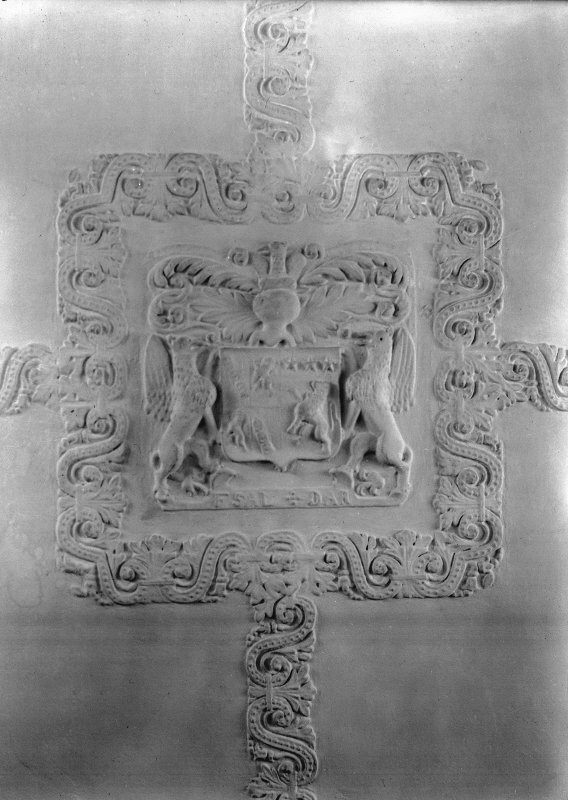 Now used as a store. 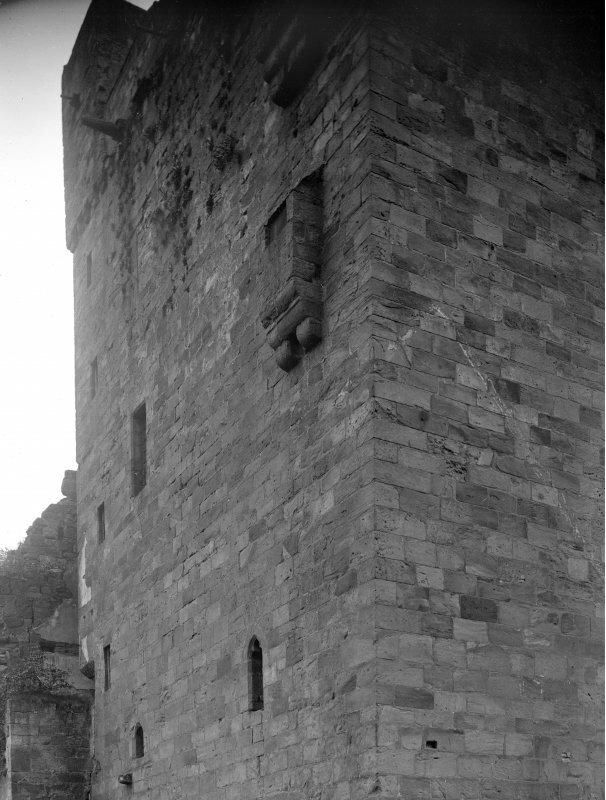 All remaining walls in coursed ashlar and standing, on average, about 16 feet high. 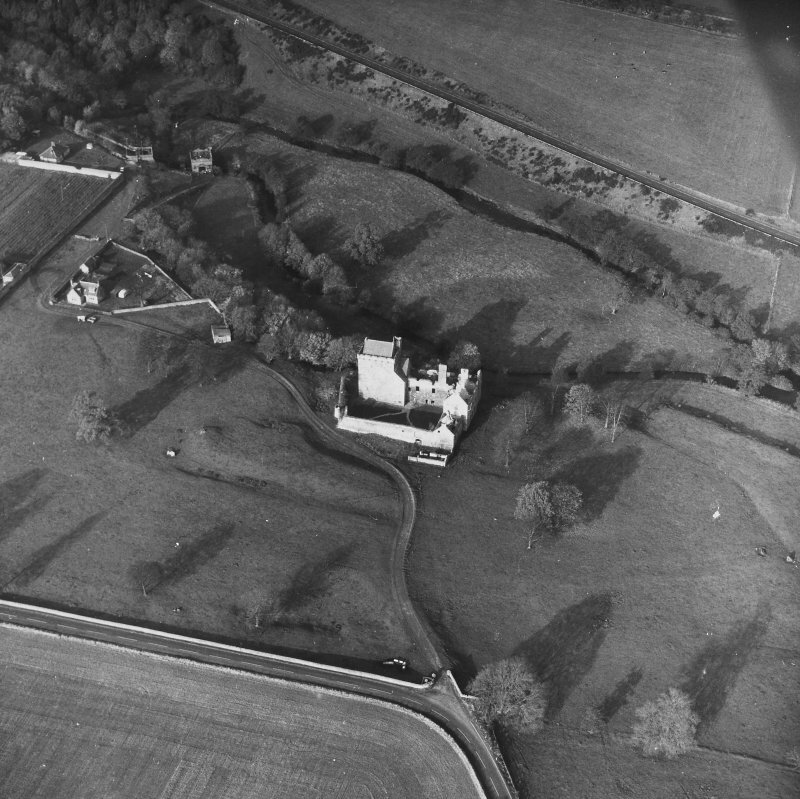 Excavations in 1978 within the courtyard revealed an earlier E and S range, as well as traces of other buildings which were not fully excavated. 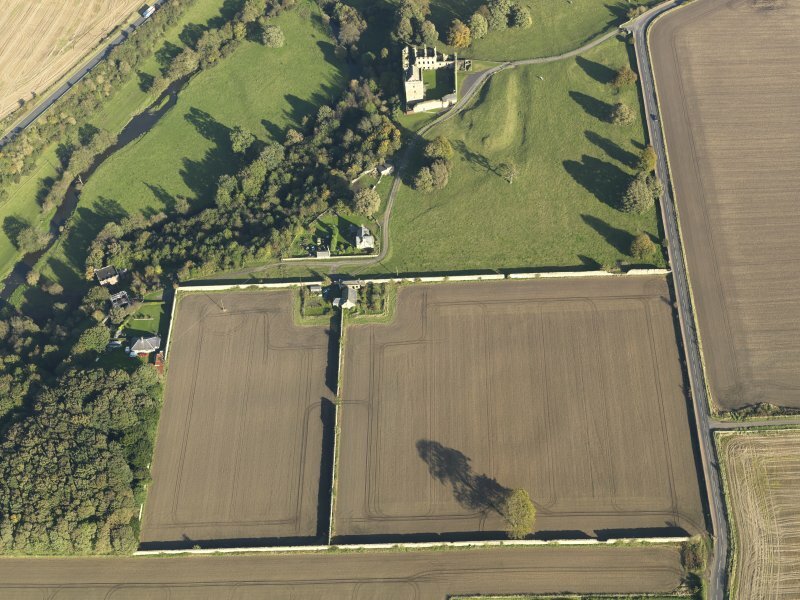 These buildings seem to have been demolished for an extensive rebuilding programme in the 1640's. 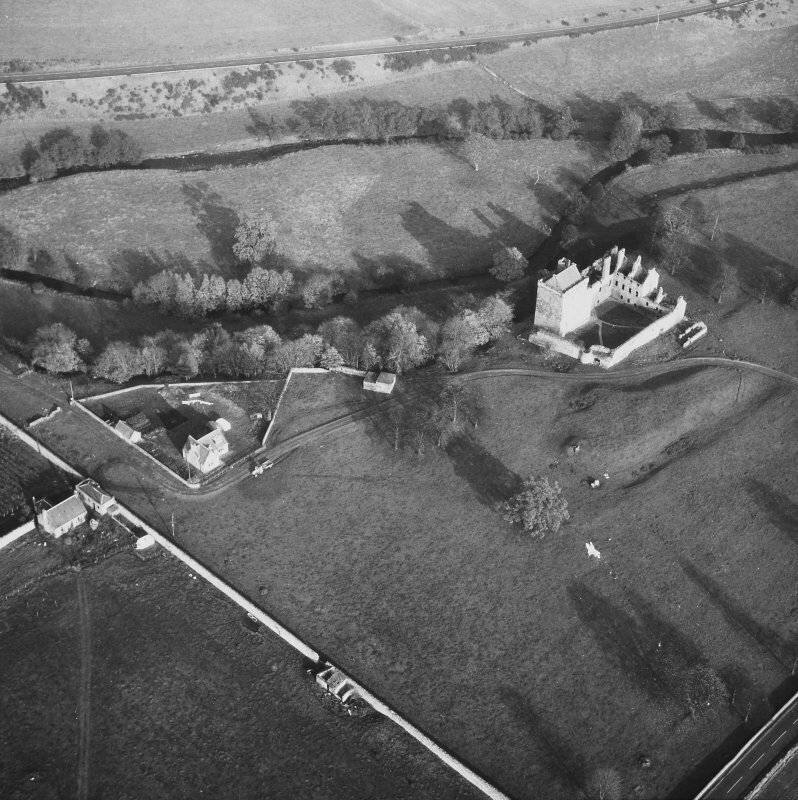 R S Will and T N Dixon 1995. 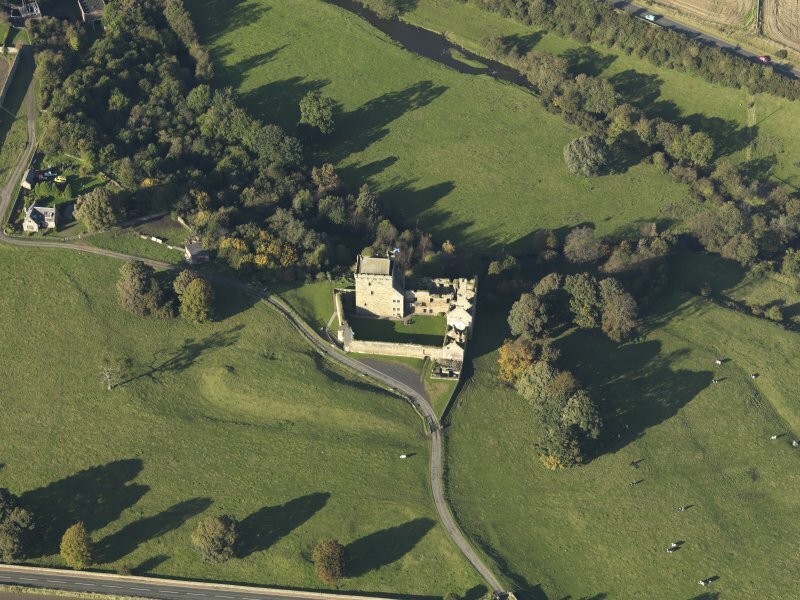 Advertisement and document containing particulars of Balgonie Estate in preparation for sale includes a general description of Balgonie Castle. 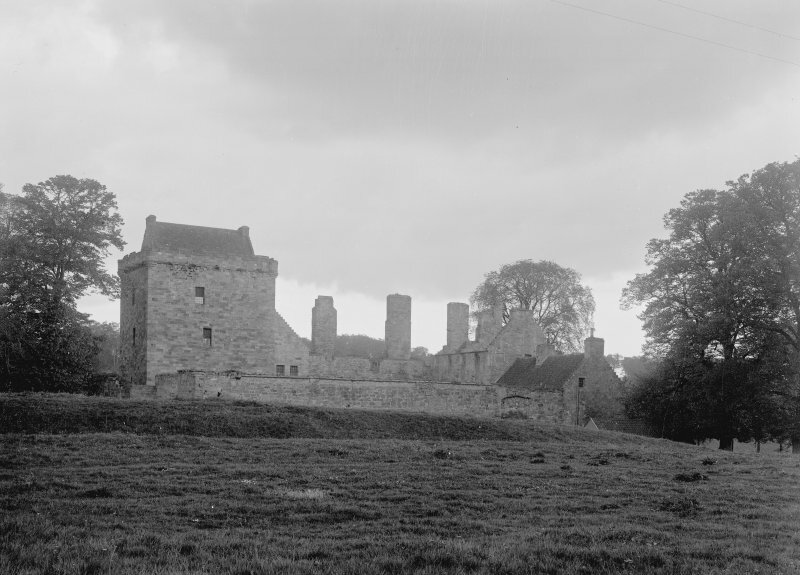 Account of repairs of the house of Balgonie for my lord Chamberlain (Earl of Rothes).